NOTE: Registration deadline is Monday, April 15, 2013. When you arrive for the event, visit the Check-In desk to receive your event pass. 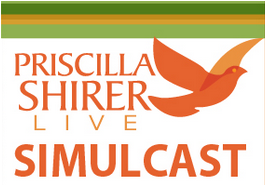 Your email will not be used for anything other than updates regarding this simulcast event. This is to help us plan seating and lunches. Cost is per person. You can purchase multiple tickets on the next page. Price includes Simulcast and a box lunch.